We’re all far too familiar with the novelty song, an insanely catchy song of often dubious artistic value that seems to come out of nowhere, usually from an artist no one has never heard of, and disappears almost as quickly as it comes. Theirs is usually a brief, bright, explosive trajectory through the pop culture firmament, with its disappearance greeted with relief by the fickle masses who just nanoseconds were welcoming it with rapturous delight. You see I have a dirty little secret – I love novelty songs. Yes I hold songs like “Shaddap Your Face” (Joe Dolce), “The Macarena” (Los Del Rio), “Who Let the Dogs Out?” (Baha Men) and “Gangnam Style” (PSY) close to my musical bosom, and while I don’t hold them up obviously as pinnacles of musical perfection, I am not afraid to acknowledge that they are catchy as hell and yes, conceived by some very talented people. Which means of course that I love the latest novelty song to sweep the globe, “The Fox” by Ylvis, a Norwegian duo who didn’t set out to have a viral hit at all, but got one anyway, racking up tens of millions of YouTube views in the process. Yep, calculated though it may look, “The Fox” is an accidental novelty song. Appearing on The Ellen Show a few days ago, the comedy duo brothers behind Ylvis, Bård (the blond one) and Vegard Ylvisåker,who produced the song in conjunction with Norwegian hitmaker Stargate, the man behind Rihanna’s “Diamonds” and Rita Ora’s “RIP” among many others, admitted “The Fox” began life as a joke, a way to promote the third season of their highly successful chat show. Formed in 2000, they have found great success with everything from a string of variety shows, radio shows, and yes even music videos. But “The Fox”, delightfully inane lyrics and all, has garnered them the sort of attention they could only have dreamed of, and while they are grateful for it on one level, both brothers seemed bemused by all the fuss, with Bård admitting that their joke had “backfired”. Still, if this is what backfired looks like, I don’t think they should be overly worried. Since “Gangnam Style” took over the collective consciousness of humanity in 2012, or at least appeared to, the Korean singer has become a household name worldwide. 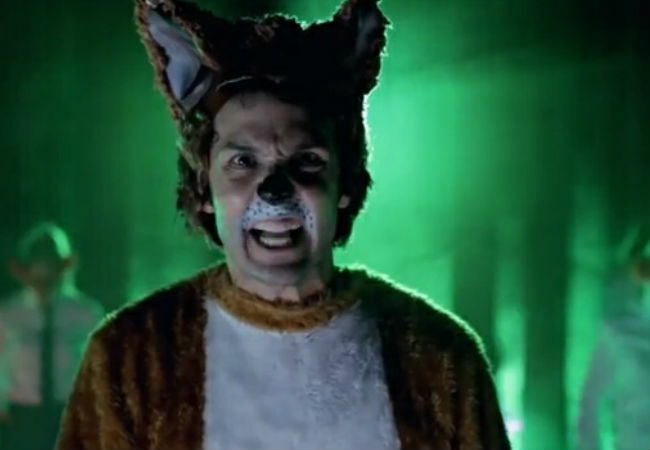 Whether Ylvis follow suit, or even want to, is uncertain but one thing for sure – “The Fox” is maddeningly catchy and while the backlash can only be a matter of days or even hours away, I am happy to proclaim here and now that I really like the song. Pingback: SparklyPrettyBriiiight | Great questions of our time: What do the fox and Cookie Monster say?